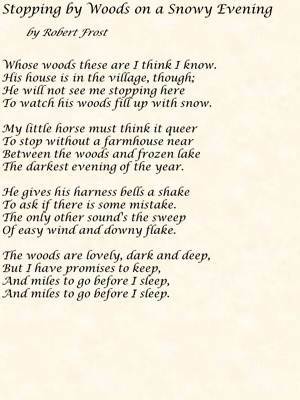 Robert Frost was a well known twentieth century poet. He is known for his descriptive language of rural life and was recognized by receiving four Pulitzer Prizes for his work. He had a tragic and difficult life losing many family members to depression and illnesses. Incredibly, after much tragedy including the loss of his wife and a number of his children, Frost recovered and flourished - teaching, writing, traveling, and lecturing. He received many prizes for his poetry and became, in his final years, advisor to presidents Eisenhower and Kennedy. During the 20th century Frost was the most popular and best read poet in the United States.